Houghton Mifflin Harcourt, 9780618835966, 320pp. The best-selling author of The Perfect Recipe shares her secret for dumping pounds without dieting--and the 250 recipes for her new way of eating. To millions of citizen cooks, Pam Anderson is a trusted friend who does all the work for them, testing and retesting until she arrives at the best version of classic favorites and simple dishes for company. 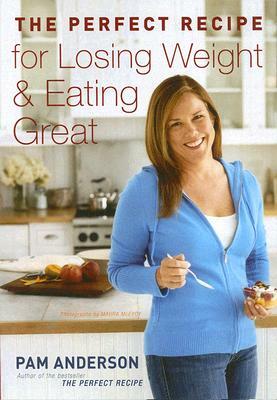 But gradually, Pam found herself standing with the two thirds of Americans who are more than a few pounds overweight. Fed up with whipsaw cycles of losing and gaining, she vowed to change--but not if it involved dieting, hunger pangs, or saying no to the foods she loved. Complicated recipes were out. She streamlined, creating meals as satisfying as they are quick--pizzas that take just thirty minutes, big-bowl combos, and gratifying snacks to forestall cravings. She discovered a few simple habits that make all the difference. Four years later, she's still maintaining her forty-pound weight loss. The Perfect Recipe for Losing Weight and Eating Great is a way to eat for life. It's filled with voice-of-experience tips for curbing appetite, no-nonsense shortcuts for getting food on the table pronto, and recipes that could only have been developed by this food-loving pro--no compromises, no wasted steps, just extraordinary results from ordinary ingredients.